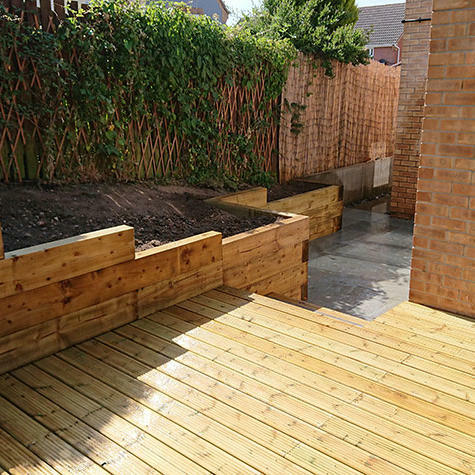 This garden in Carlton was a bit of a mess, to put it mildly! 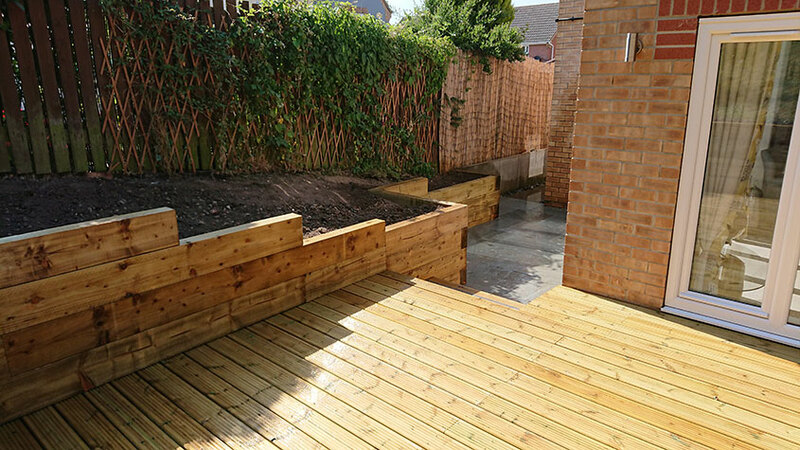 We rose to the challenge of creating a practical and aesthetically pleasing outdoor space from a very overgrown patch on a sloping site. 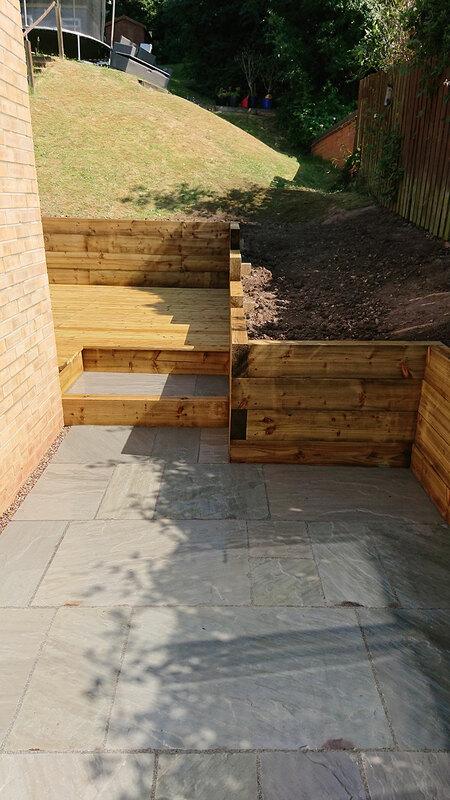 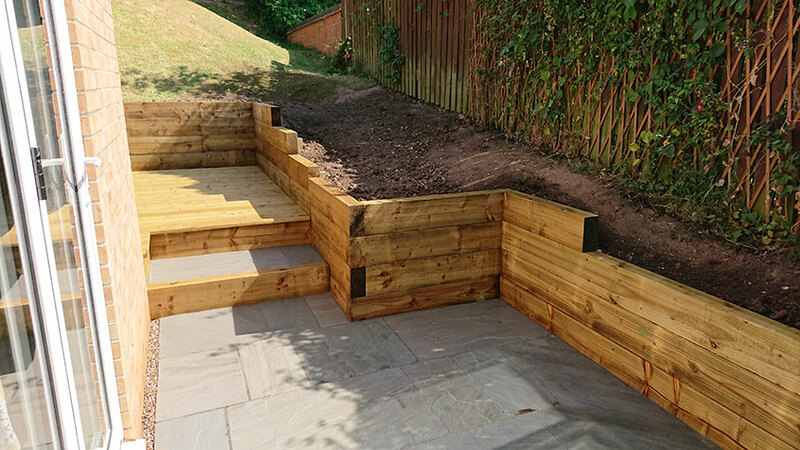 We installed retaining sleepers and created two levels: one decking and the other in grey sandstone - lovely.